Every year we get the question…when is the peak leaf season? And every year, our answer is the same. In our area of the Blue Ridge Mountains of Virginia, peak is much more than a day, for a lot of reasons. 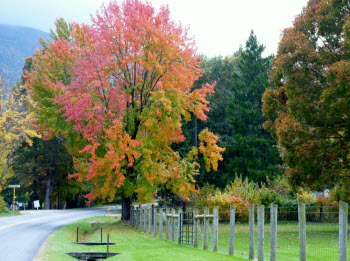 Autumn colors can be enjoyed over a span of several weeks to nearly a month, usually starting near the end of September, and continuing into early November. Of course, the middle of that time, typically the middle two weeks of October, are when the leaves are most brilliant, most of the time. However, as I write this on September 9, some trees in our area are already starting to change. And for what it’s worth, the Farmer’s Almanac predicts the interior of Virginia to experience fall foliage peak between October 12 and 28. Book your Mountain Cabin now! If you haven’t already made reservations to see the fall colors, you’d better get started. 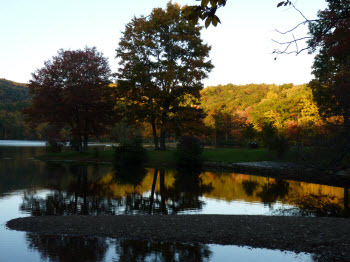 Many of the area lodging facilities get completely inundated with fall foliage seekers. On another interesting note, AccuWeather.com predicts that the best fall foliage this year will be in our mid-Atlantic region, due to the wet weather we had earlier this summer, and the dryer, sunny days we’ll experience in September. Finding the best fall foliage is just that, a search. You see, so many factors contribute to the changing of the colors that it is impossible to predict at any given time, exactly where the best foliage will be. * Elevation – Typically the higher elevations begin to show fall colors first. * Direction – The direction that a particular slope faces will impact the timing. Northern and eastern facing slopes will begin to change sooner. * Type of Tree – Since some trees change color earlier than others, the type of tree that is predominant in an area will affect the timing of the colors. * Summer Weather – Unusual weather patterns, such as a very wet or a very dry summer, can have an impact. * Fall Weather – The best fall weather for producing brilliant colors is bright sunny days with cold nights. I do know that our weather was unusual this year, with a wet spring and summer, and lots of cool nights. So it will be interesting to see exactly what effect that has for fall foliage 2013. The best way to see lots of autumn colors is to take a driving tour, making sure to cover a wide variety of terrain and elevation. 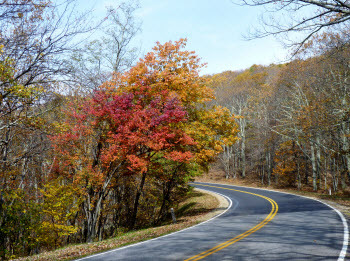 Here are several driving tours in our area that are recommended by the Virginia Department of Forestry. * Some of these numbers may not have current data until we get into October. 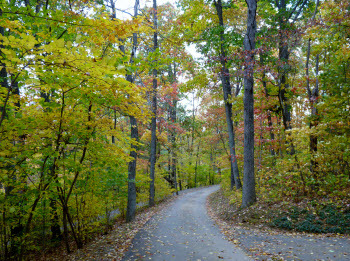 And finally, don’t forget to book your Fall Foliage Getaway today!